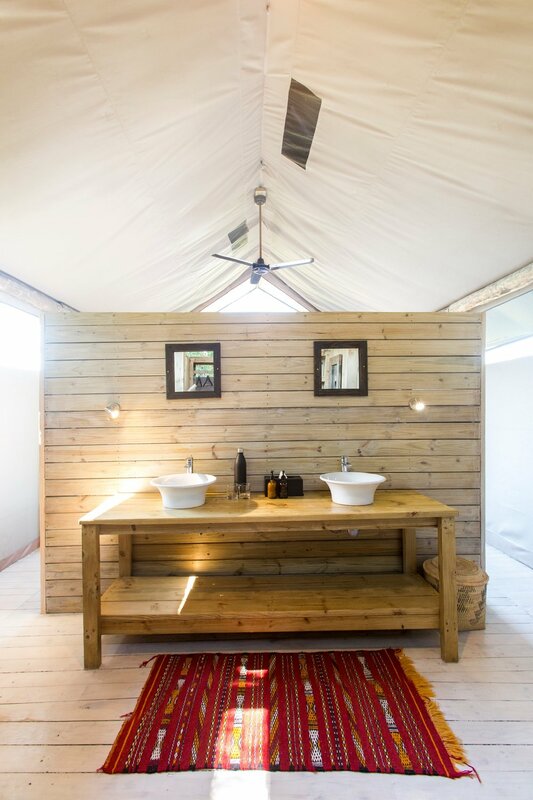 Quiet and authentic, The Jackal and Hide is the perfect place for your first safari—or your 100th. 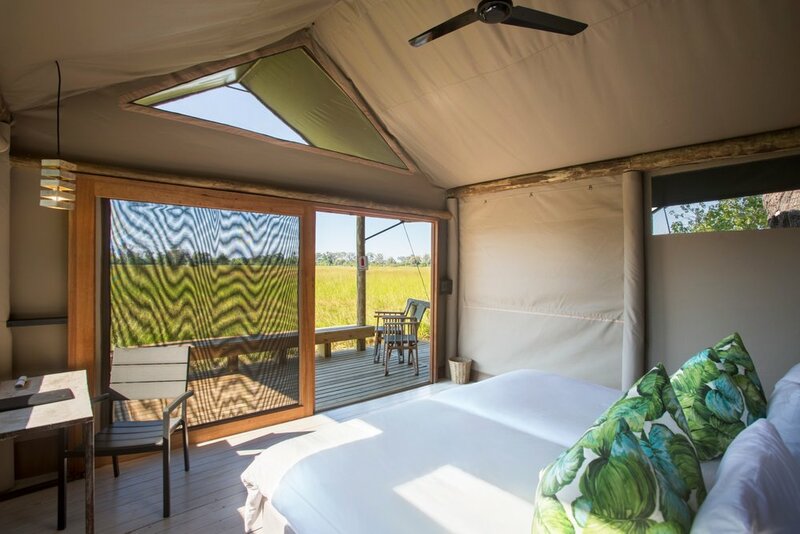 This intimate, tented retreat is located amid the shimmering grasslands of the Khwai Private Reserve in the Okavango Delta. Recently updated with a new look and perfectly clever name, we are thrilled to include The Jackal and Hide as one of our newest offerings in Botswana. Perfect for our most passionate wildlife lovers who enjoy a relaxed and authentic setting, here you’ll experience twice-daily game drives and lazy afternoons with G&Ts and a good book in hand. Eight Meru-style tents provide a retreat from the hot safari sun midday with king beds perfect for napping, while a sunken lounge and fire pit area bring evenings to life as the perfect place to share stories about the day’s adventures with your fellow travelers. 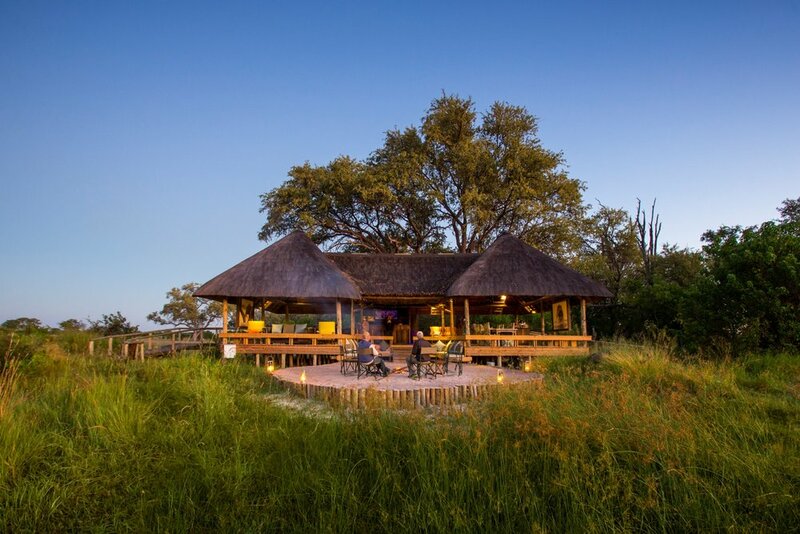 It’s not uncommon to see zebra and elephant grazing right out front of camp as you pull up a chair beneath the thatched roof dining area, enjoying incredible Delta views with every bite. Because The Jackal and Hide is located in the wildlife-rich Okavango Delta, chances are that you will see the majority of the Big 5 (lion, elephant, leopard, water buffalo and the occasional rhino are all present) while also seeing special animals that call this area home, like hippos and crocodiles. Keep an eye out for the occasional jackal, too, and sensational bird life like giant eagle owls and lilac breasted rollers. You might even spot wild dogs, serval cats, honey badgers, and the elusive pangolin. Don’t forget to pack your binoculars and be at the ready! Our favorite part of this special little camp is that it’s located in a private concession area, meaning you get to explore the landscape and all it entails in utter privacy with your guide. 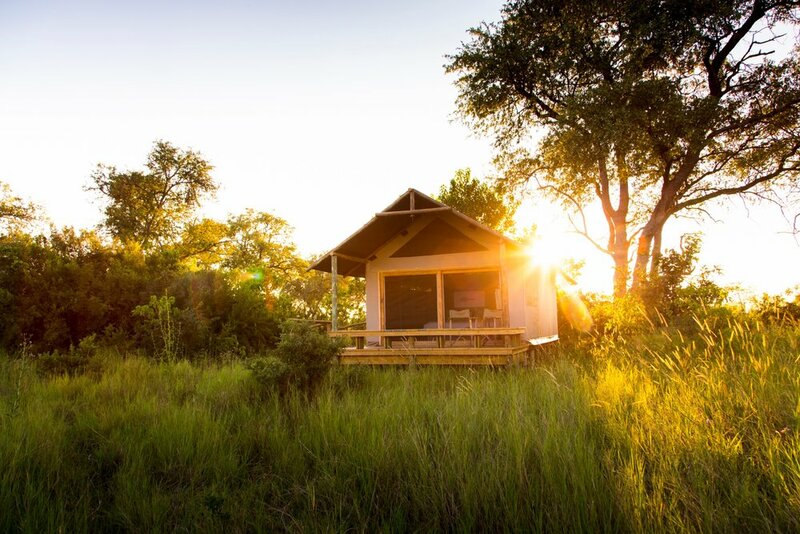 8 tented suites offer quiet reprieve in a gorgeous grassland safari setting. "The Jackal and Hide is located in the Khwai Private Reserve, a nearly 500,000-acre area of pristine wilderness in the Greater Okavango Delta region. 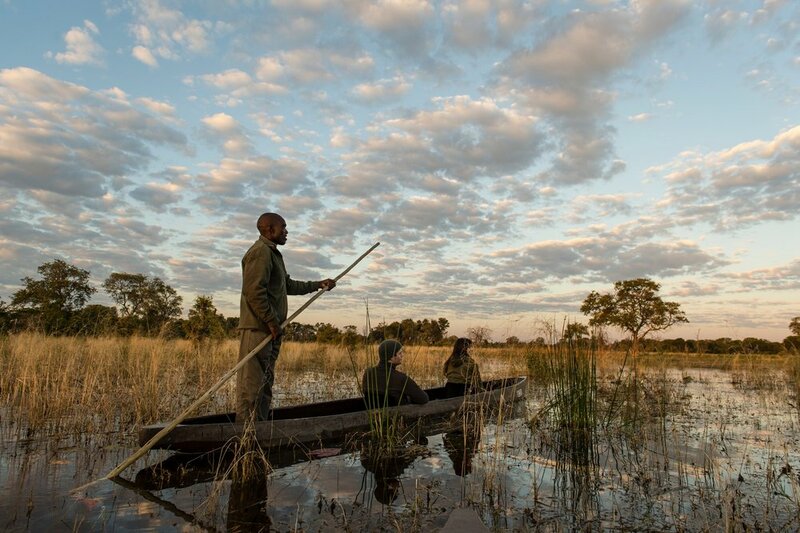 The reserve is bordered by Moremi to the south, Savuti to the north and the Khwai Community Reserve to the east – in other words, in the middle of some of the most famous and iconic game-viewing areas on the continent!"